Image © DC Entertainment. Written by Robert Venditti, art by Patrick Zircher, colors by Jason Wright, letters by Dave Sharpe. The crossover with Superman seemed to be pitting them against the giant-headed villain Hector Hammond, but as we see in this issue, he’s actually in need of help from them instead, after being attacked by aliens who take over his mental abilities. They create the illusion of a perfect family life for Hal Jordan here on Earth, one that he finds comforting. Superman seems to have been played in a similar way, though we don’t get to see it. A fun combination of the two powerful heroes with a wistful coda for Hal before he’s summoned to the next interplanetary emergency. 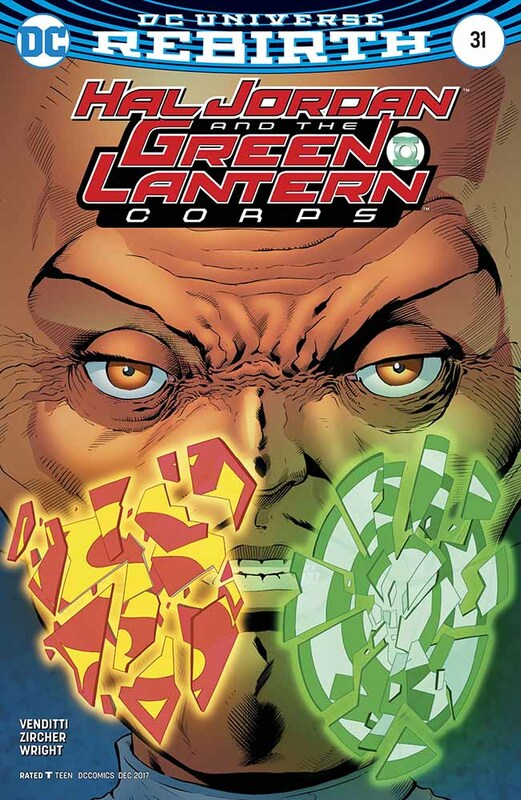 This entry was posted in Comics, Reviews on April 6, 2018 by Todd.